If you're planning your romantic newlywed vacation, and are looking for the best honeymoon destinations by month, we've got you covered. When it comes to choosing the best honeymoon destinations by month, it’s not always an obvious choice of jetting off right after your wedding. 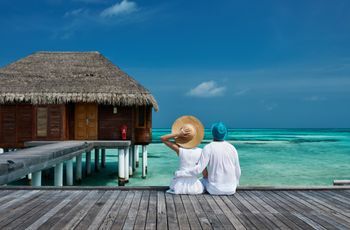 For budget-conscious couples, it may be worth traveling during the off-season to save money on prime honeymoon destinations. While traveling during the off-season isn’t a new concept, it’s one that is cost-effective for young couples who are paying off student loans, saving for their future and feeding their wanderlust. So when perusing the best honeymoon destinations by month, it's an important thing to consider. For the best bang for your buck, consider the best honeymoon destinations by month — when the temperatures aren’t exactly just-right, but prices are. It might be the city that never sleeps, but it does take a little winter’s nap after the craze of the holiday season, making New York City an ideal honeymoon destination in January. Since the Big Apple attracts tourists with frosted windows, oversized Christmas trees and plenty of other holiday celebrations from all over the world, January is when you can find calmness and intimacy for one of the United States’ best honeymoon destinations. Though be fair-warned that temperatures will be on the frostier side and you’ll definitely need to bundle up to keep warm, there’s nothing quite as romantic as seeing freshly-fallen snow in Central Park (or ahem, from you hotel room) or catching a broadway show dressed in your winter best. Regardless of what palette you and your partner subscribe to, the plethora of dining options — from cheap soup dumplings in Chinatown to Michelin-star restaurants in midtown — will equally give you a honeymoon-worthy culinary experience. 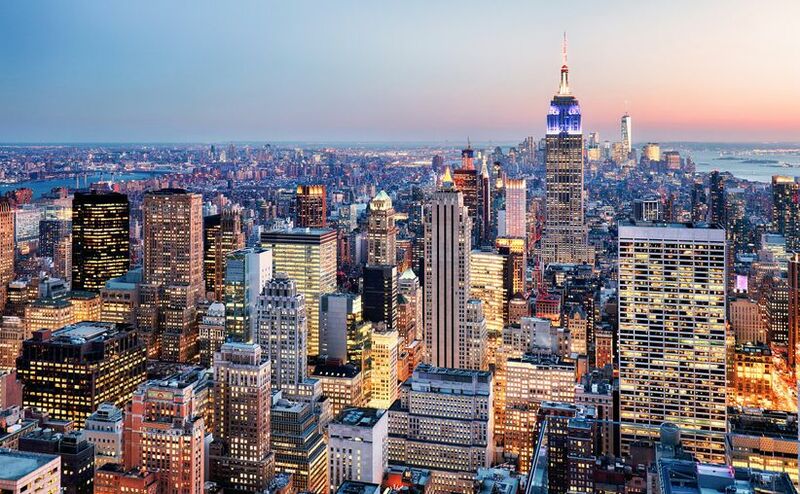 There’s no better place to indulge in luxury than Manhattan. With all of the bells and whistles (and taxi horns), The Conrad will make you feel like the super special twosome you truly are during this time in your life. With views of the Hudson River, a rainfall shower, turndown service and more, you can start spreading the word that you’re the toast of the newly-married town. There’s a charm this Italian riverside town offers that’s unlike any other destination. During Venice’s off-season from late October to March, you might experience cold weather, but the idyllic, whimsical mood will remain just as enchanting. Plus, considering you’re meant to spend more time wrapped up together in your newlywed bliss, you probably won’t mind spending less time on the canals. Make sure to keep an eye out for glass blowing excursions that add a dose of cultural to your Venice honeymoon, and sample the local pasta and desserts that’ll warm up your chilly jaunts through St. Mark’s Square and beyond. When you dreamt up your fairytale honeymoon as a child, this is what you pictured. More castle than resort, this unique find has it’s own private island on The Lagoon of Venice. 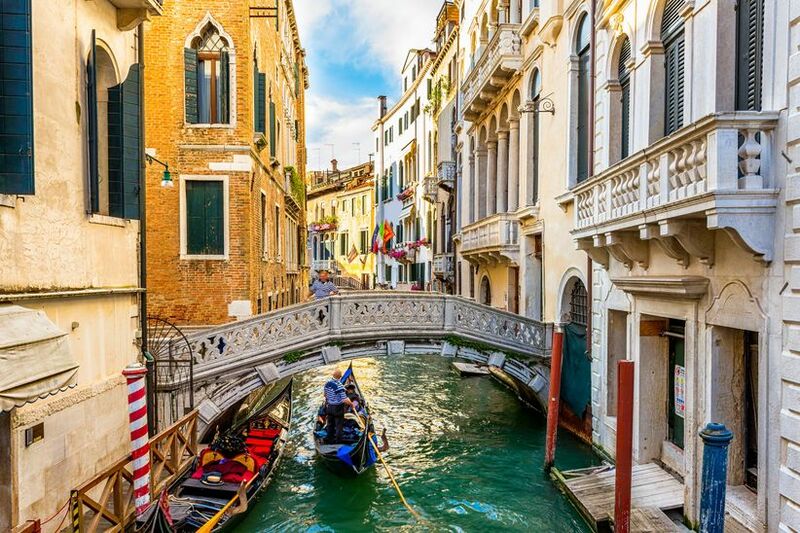 From your suite, you’ll enjoy daytime and nighttime views of Venice, where you’ll come up with a whole new fantasy: coming back here with your children one day to share the magic of Italy with them. There’s a reason this time of year in Argentina is referred to as the ‘wet season’. Hence the name, don’t forget to add ‘Just Married’ rain jackets to your registry if you plan on trekking to this must-see South American country for your honeymoon. Even with the clouds and showers, the natural wonders and beautiful sights of the Argentinian landscape are well worth the precipitation. 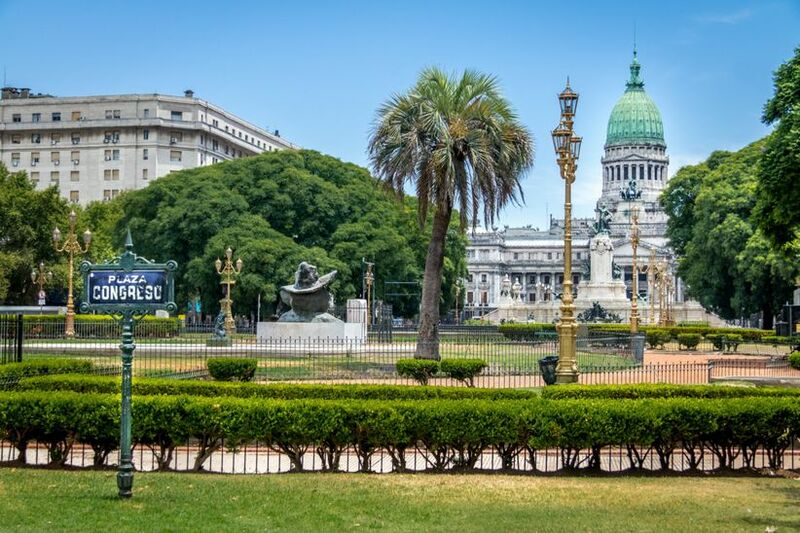 Consider getting the best of both worlds by spending time in Buenos Aires and then renting a car to visit Uco Valley, just northwest of the Mendoza wine region. After dancing the night away at the many clubs and lounges in BA, the ease and buzz of sipping wine with the Andes nearby will be just what you and your new spouse ordered. Though this 790-acre estate only has seven rooms and nine suites and bungalows, it packs in all of the amenities you would request from a honeymoon stay. Regardless of what you book, you’ll enjoy a private terrace and an outdoor whirlpool jacuzzi made for year-round dips. After admiring the view of vineyards, you can sample the fruits of their labor, and even take home a customized bottle and label to celebrate your new marriage. Want some adventure? Bundle up and take to the nearby trails where you can mountain bike in the Andes themselves. If you’re going to make the trip to South Africa, you can’t leave the country without staying within Greater Kruger National Park. When you book your honeymoon stay at Royal Malewane, a luxury safari lodge, a qualified guiding team will bring you close to the Big Five, while on-site chefs prepare nightly menus served under countless stars in the African sky. 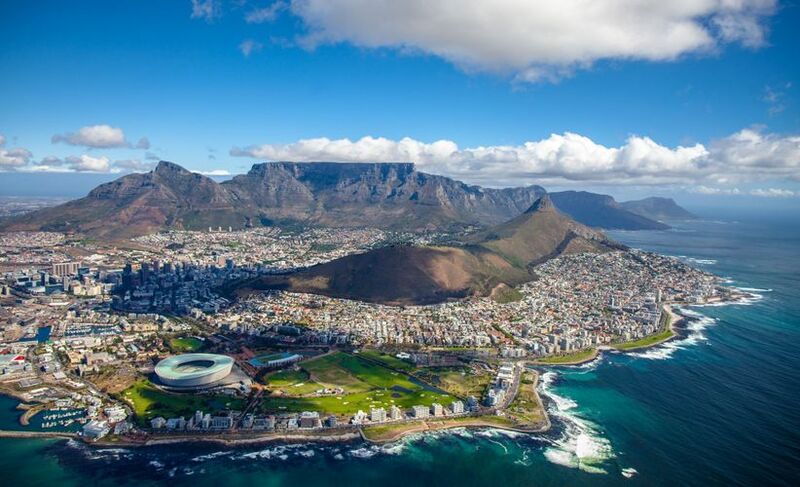 Before or after your safari jaunt, lay back and release that wedding planning stress at The One Above in Cape Town, a resort offering panoramic views of the city, Table Mountain and Robben Island. In addition to plenty of Instagram-worthy suites, you can also soothe your jet-lagged bones at one of two swimming pools or the sauna. The appeal of this no-passport-required beach honeymoon destination is at its highest peak when the rest of the country is layering their sweaters, jackets, socks and gloves. That’s why touring the many islands — and feasting on the fresh fish and culinary creations — is best once summer is underway. Even if you don’t get ‘Maui’-ed here (sorry, we had to!) you can spend your Hawaii honeymoon learning to surf, climbing mountains and volcanoes, or lounging by the sandy beaches. As one of the best honeymoon destinations for couples who want a mix of adventure and relaxation, this state offers the best of both flavors, and during May, the price tags won’t be quite as high as the rest of the year. After all - who wants to pay top dollar for Spam? When you first land after your long haul, you’ll want a fancy, romantic place to rest your newly-married head. 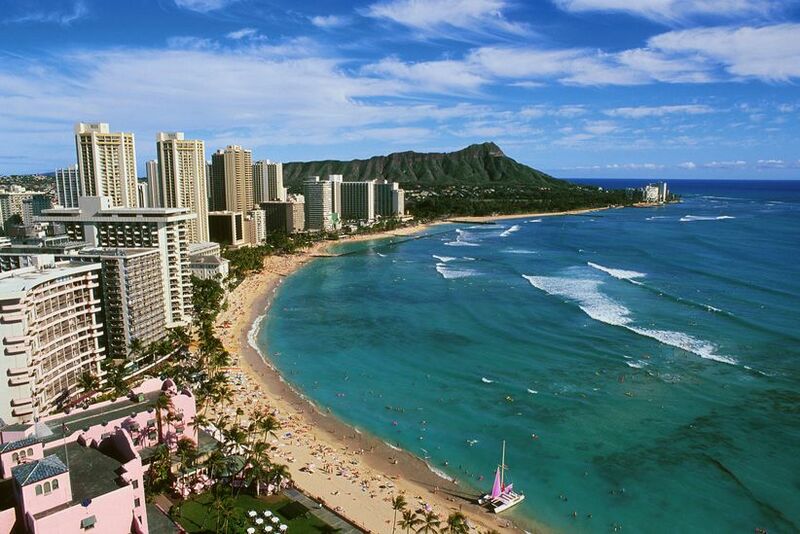 Prince Waikiki is a luxury oceanfront resort in Honolulu that’ll have your jaw dropping when you look out any of your suite’s windows. In addition to glimpses of ombre blue waters, the island-inspired cuisine sourced from local ingredients will have you quickly forgetting about your dry airplane food. Once you’re ready to set sail to lesser-known islands, consider booking the Four Seasons Lanai where you’ll wake up pinching yourself. On the Hulopoe Bay, steps to the Pacific Ocean, you can explore the waters through nautical experiences out of Lanai’s Adventure Center or drift away at the Hawanawana Spa for a couples massage. And for when you’re craving pure downtime, this adults-only retreat offers poolside delights, waterfalls, lava rock grottos and more zen. 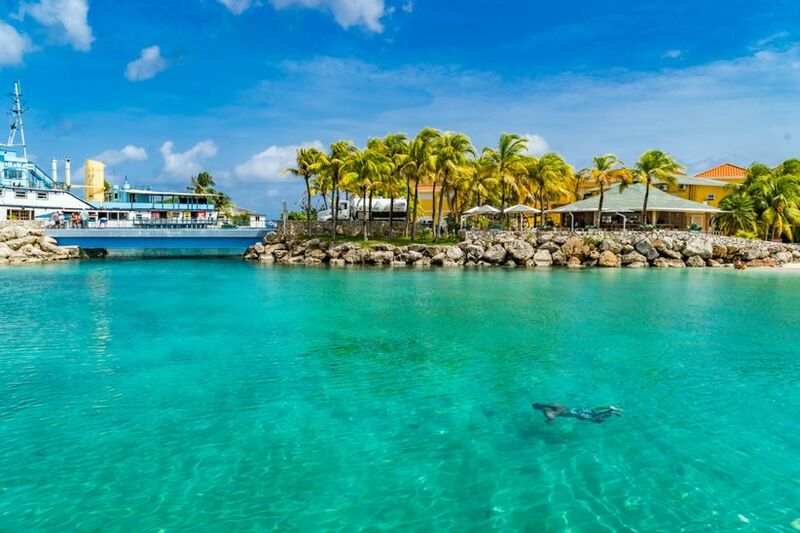 Much like other parts of the Caribbean, it’s best to avoid Curacao during spring break times and the holiday season, where families flock in search of a tropical escape. In the thick of summer though, this part of the ABC islands experiences lower prices, smaller crowds and more opportunities to feel like you’re only two on the shores. Though to see the nature and the beaches of this country, it’s recommended to rent a car, you certainly won’t lack options when you’re winding through it’s rocky paths. From an early morning climb to see incredible views from Mount Christoffel to lounging at one of the top 25 beaches in the world, Grote Knip - you can celebrate your marriage day-in and day-out. And for LGBQT couples, this island is especially recommended, as it’s the only country within the Caribbean to openly support – and welcome! – gay communities. On the eastern coast of Curacao, this resort offers seclusion in between the Spanish Water Bay and the sea. The style of this honeymoon destination might remind you of Key West, but with warm tones and pops of coral, you’ll definitely enjoy the Caribbean honeymoon vibe you’re craving. When you upgrade to a Tula suite, your bedroom features a private patio with killer views. If you don’t leave your bed for a day? Don’t worry - it’s your honeymoon, you don’t have to. 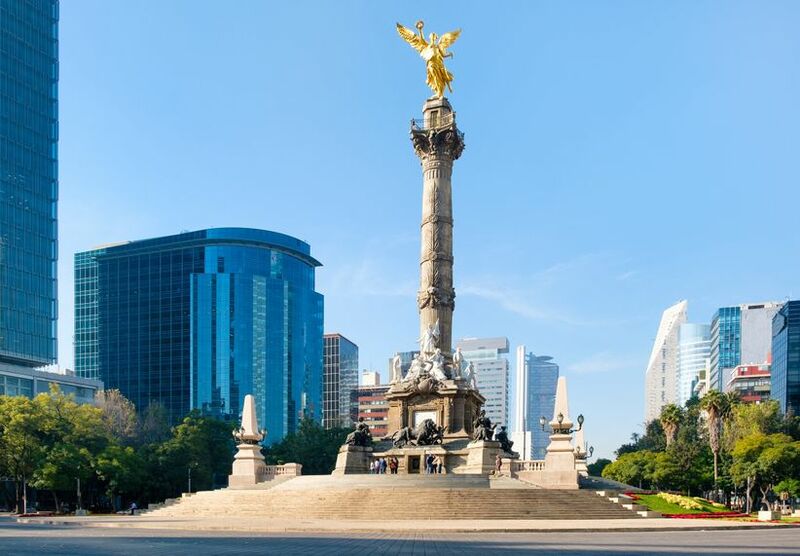 Before you start to sweat, you might be surprised to find that Mexico City has highs of a breezy 73 degrees during the month of July. Even though summer will be in full swing, it’s the off season for this capital destination due to increased rainfall and most tourists finding their way to the beaches, rather than the city. 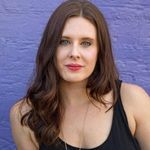 For a foodie couple who seeks unordinary experiences, a honeymoon in Mexico City is fantastic both for your budget and your belly, with flavorful, inexpensive restaurants amongst each corner. Though it’s smart to be mindful of some dangerous areas, there are plenty of safe places to explore, celebrate and enrich your cultural opinion of this nation, together. At the epicenter of this busy urban must-see is the St. Regis, an iconic honeymoon destination for many couples. Featuring countless rooms and suites where you can spend a bit more since you’re saving on airfare and food, watching the lights of the landscape sparkle below at night will be the perfect way to seal your day. If you need a break from the chaos, escape to their spa for a couples’ treatment where you can quite literally soak those wedding planning blues away. Lord of the Rings fans who can’t imagine celebrating their new spouse title than a trip to the homeland? 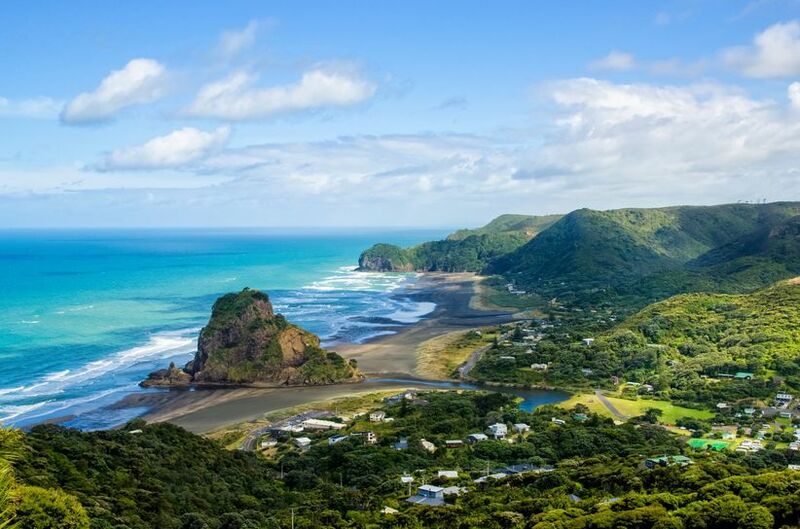 Pick no other month than August — where sure, you might have to put up with rainfall, but hey, that’s part of the journey on your honeymoon in New Zealand. The good news of a slightly cooler and wetter trip is that you won’t have to battle quite as many like-minded tourists and the uptick in precipitation means even greener lands than you’ll see any other time of year in one of the world’s best honeymoon destinations. Since the long flight is worthy of a longer stay, consider at least a two-week trek where you can fly, drive, hike, swim and skydive your way into marriage. Considering your left-hand bling is sparkling, why not stay at two brand new hotels, too? When you fly into Auckland, reserve a larger room at M Social Auckland. Here, you’re located affectionately in the harbor, where experiencing ‘The City of Sails’ is a quick walk or bike ride out of the hotel. Though it’s not luxury by definition, it is a great crashing pad for the couple who prefers to explore than to spend time soaking in a tub. Once you’ve rested from your journey, make the (much shorter) trip to Queenstown, a New Zealand honeymoon destination renowned for adventure sports, vineyards, mining towns and the iconic Lake Wakatipu. Oh, and did we mention from your suite at QT Queenstown you’ll see spiraling views of the Southern Alps? You might still struggle to remember your new last name, but as a lifelong Disney fanatic, you can definitely spell (and ahem, sing) ‘Mickey Mouse’. 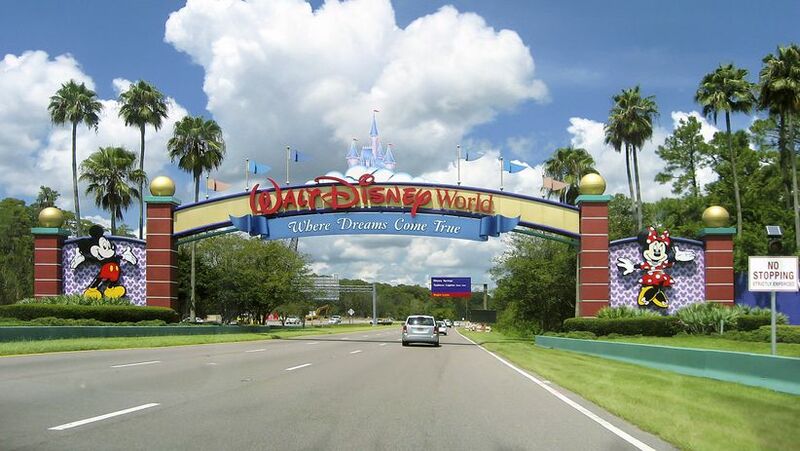 If meeting your prince or princess requires a trip to the motherland of fairytales itself — Walt Disney World — then hold your horses until September. After Labor Day has come and gone, the majority of school-aged children will be back in the classroom, meaning less families will clutter Main Street for your photo opp — ideal for couples looking for one of the best honeymoon destinations that’s both romantic and fun. A Disney World honeymoon spent adventuring around the park as a newlywed is a fun experience in itself, since cast members are encouraged to get the VIP treatment when you proudly display your news via veil mouse ears or customized shirts. And when you don’t have to wait in line for hours — even with a FastPass — the experience becomes that much more magical. If you can swing the cost - even in the off-season - staying at an on-property Disney resort is recommended. Not only will you save on commuting and parking between Orlando and the grounds, but oftentimes, couples are upgraded to suites, given surprise-and-delights and well, treated like the royalty you feel like you are in your hearts. 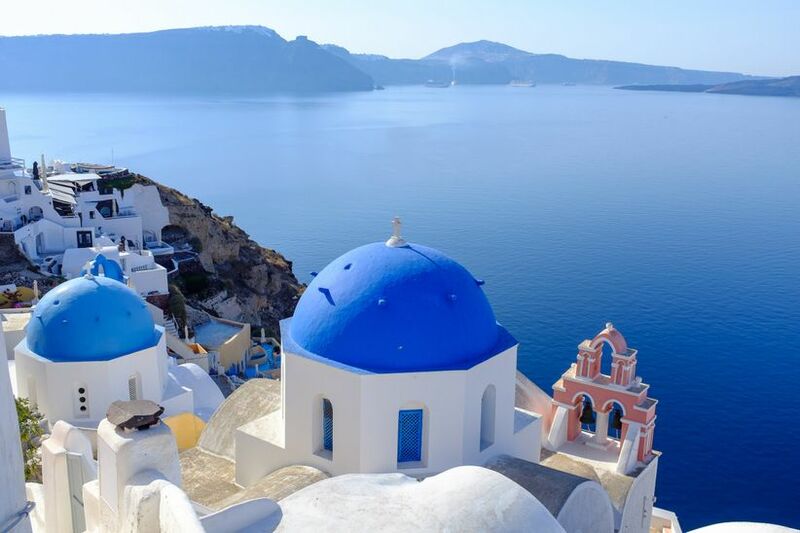 Here’s the deal: as beautiful as the Mediterranean oasis of Greece is year-round, if you venture during the heat of summer, you will spend half your honeymoon battling through narrow white streets and saving your pretty pennies to afford any sort of suite. An overlooked time of year to jet set to this lustful honeymoon spot is October, where the sun still shines at 73-degrees, but chasing a sunset in Oia becomes much easier. Consider staying in Athens for a day to see the Acropolis and then make your way to the islands, where Santorini, Mykonos, Rhodes and Paros (to name a few) all offer something different for those honeymooning in Greece. Perched 1,000 feet above the bay of Caldera, overlooking the Aegean Sea is this appropriately named resort that’s - literally - carved into caves on volcanic cliffs. Each of the 19 suites offer balconies and terraces where you and your new partner can catch breathtaking sunsets, order room service and toast with champagne to the start of your marriage. For a splurge (since hey, it is the shoulder season) - book the Lovers’ Escape package where you’ll spend your honeymoon in the Cave Suite, that’s set deep into the cliff, complete with glass showers, a jetted pool overlooking the ocean and a broad terrace. Included within this deal is a bottle of Moet & Chandon champagne, daily breakfasts, a candlelit dinner of local Greek food, a half-day sightseeing tour and pick-up and drop-off from the airport. 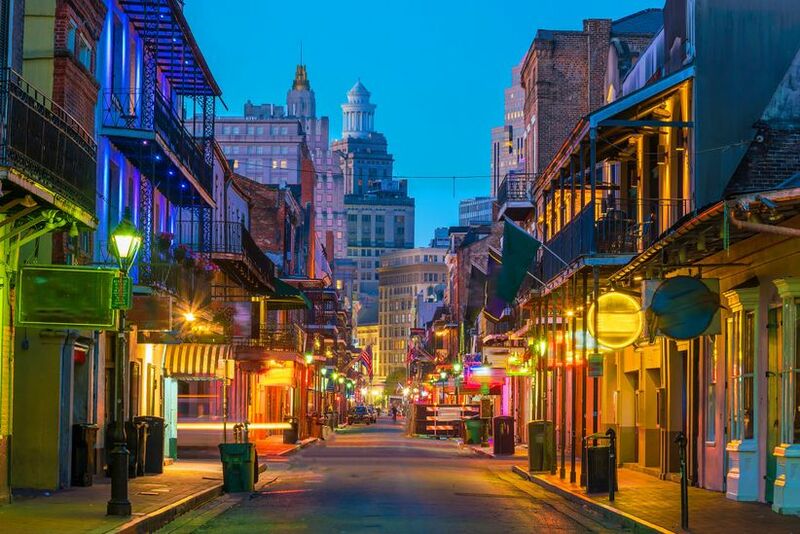 Though it’s smart to be mindful of the weather before booking your honeymoon escape to the Big Easy, thanks to hurricane season, November is a prime, crowd-free time to get a little creole, cajun and cultural on a New Orleans honeymoon. If shower won’t rain on your second-line, the most comfortable temperatures fall during this time of the year, teetering around highs in the 70s. Since it’s far away from both Mardi Gras and the Jazz Festival, you won’t have to battle your way down the French Quarter to bar hop, sample beignets or drink one of the many iconic fruity drinks that make a NOLA honeymoon boozy and fun. Just don’t forget to book your reservations at the many well-known (and beloved) restaurants that’ll tickle your so-in-love tastebuds and heartstrings. Just an easy-peasy 15-minute walk to the French Quarter, the Windsor Court New Orleans offers the suite experience you’re thirsty for as a honeymooner, while still being close to the hustle-and-bustle of the traditional scene. With a daily breakfast included in your club-level access rate, a premium suite will have you waking up to jazz and going to sleep with a full belly and happy heart. Slow down you crazy child — Vienna has been waiting for you to get hitched for a while, now. For celebrating the love affair that you doubted would ever come true (and yet, did, against all odds), venture to this Eastern European city that’s every bit as magical as you would imagine during the splendor of the holiday season. Especially if you and your partner share a love of music, there’s no better destination than the birthplace of both Mozart and Beethoven in Austria, where you can catch performances at the Vienna State Opera or the Musikverein and Konzerthaus concert halls. And hey, if you happen to be there at New Year’s, you’ll hear Beethoven’s Ninth Symphony, followed by fireworks. Best of all, the endless holiday markets will get you in the festive spirit and bring on the romance in a chilly oasis. For a stay like none other, book one of two of the Penthouse Suites, where you will - literally - live in a tower for your honeymoon. Featuring a private terrace, handpainted ceilings and a bottle of champs awaiting in your room, you will savor the experience of being a newlywed here. 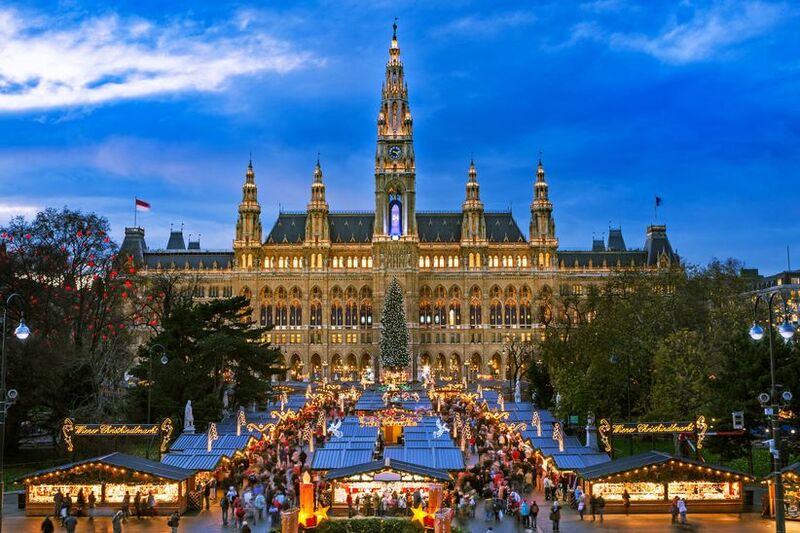 Including a round-trip transfer from the airport and offering a top-notch concierge to help with reservations, you won’t have to lift many fingers to fall in love with Vienna.